You have to buy a card here that enables you to use the toll roads in Malaysia- they wanted 3.21 Malaysian Ringgits for this (cost of card plus some credit) but as we didn’t have local currency yet they accepted $5. Ask directions to the relevant customs office in the customs building on the left (not signed) - officer stamped our Carnet in, no problems. Definitely need the Carnet if you intend shipping from Malaysia! Drove out of the border area and parked at the first small group of offices on the right to arrange insurance and the International Circulation Permit. You need to buy your insurance first, there were 2 brokers (both priced the same) we went with Zurich because they gave us sweets. Insurance- a 30 days (minimum you are allowed to purchase) third party policy for our 3.0l Diesel Toyota Hilux Surf cost MR 86 ($21). We paid in Dollars, they even trusted my currency conversion- very friendly people. Once you have your insurance certificate, go next door to the Jabatan Pengangkutan Jalan (JPJ) – Road Transport Department office to obtain your International Circulation Permit (ICP). 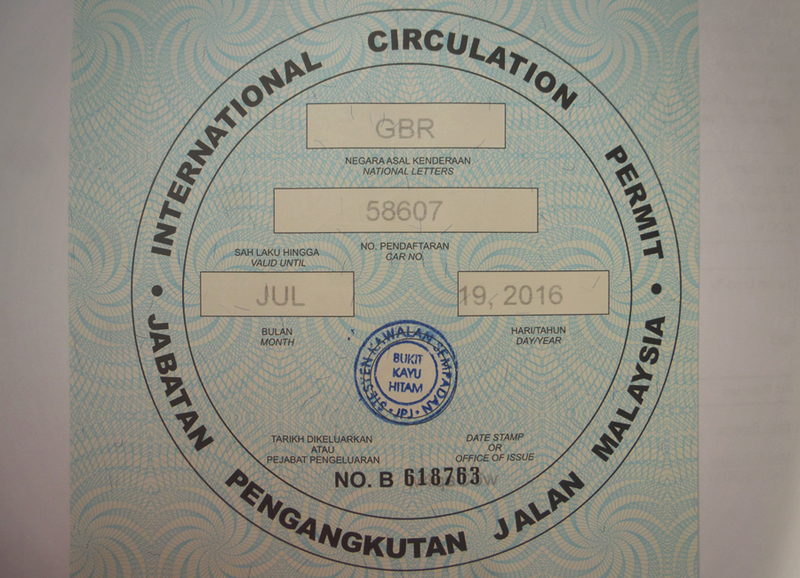 You just need to fill out a form and show your driving licence and insurance certificate - no fee - you will need to present this permit if shipping out of Malaysia. 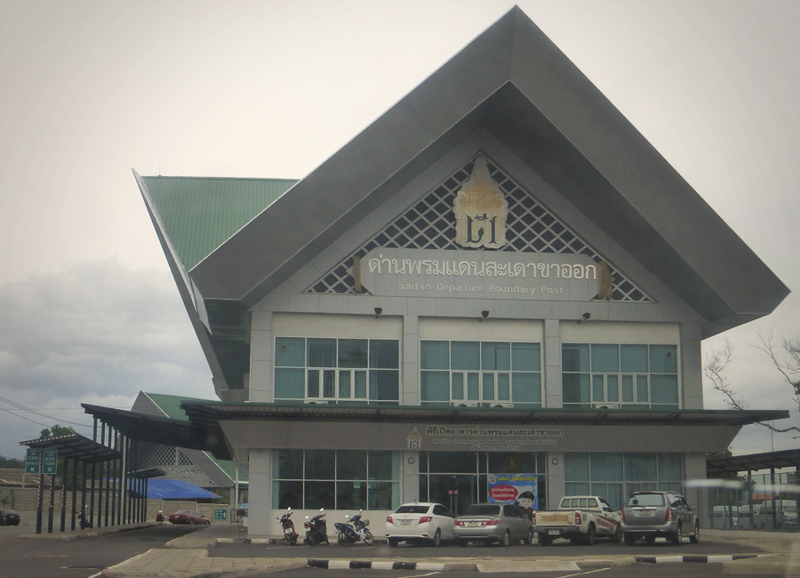 ​This border crossing was straightforward and friendly, fairly quiet, modern and efficient - we crossed at 3pm and the entire crossing took less than an hour. 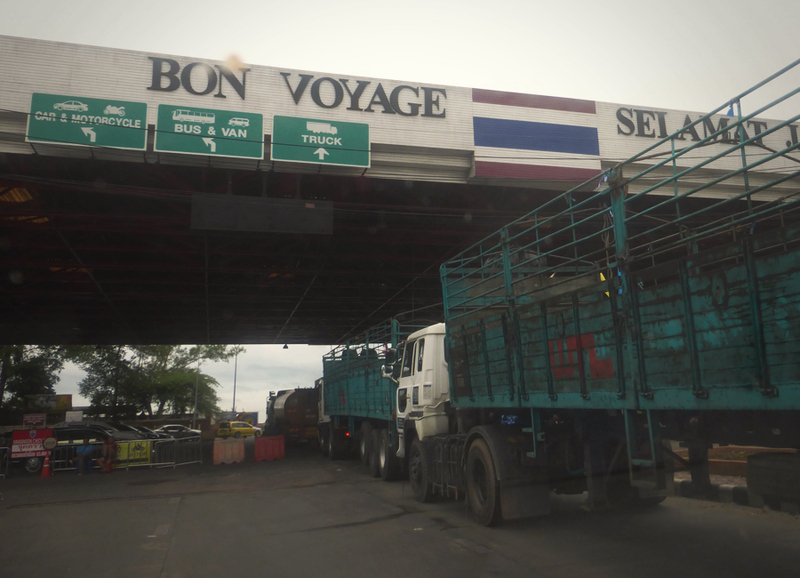 We paid no fees to exit Thailand and to enter Malaysia we paid for the toll card only.